The jeweled piece begins with a large red coin with a fun crackling effect. Sitting atop this, is a fully-faceted gold glass round and a lovely gold pearl round. 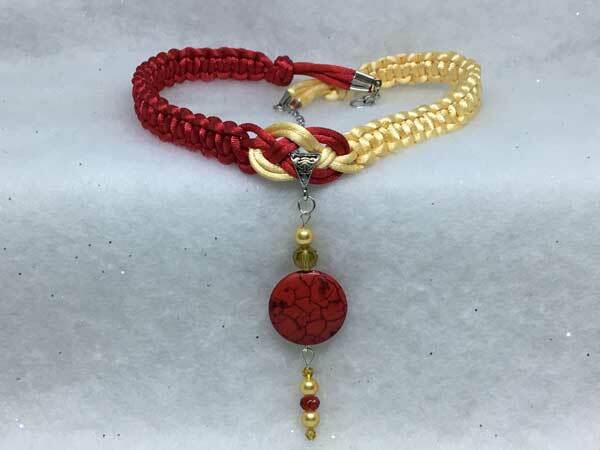 Hanging separately from this, for extra movement and sparkle, is a fully-faceted red rondelle, surrounded by two golden pearl rounds and 2 gold bicone crystals.